How does a great CEO manage to perform tasks in their busy schedule while maintaining a strategic view of the business? This topic continually comes up when speaking with students who are preparing to enter the business world.The answer may seem simple, however, it is rooted in time spent with customers and employees, and are easily developed using elements discussed in this article. This expressions may sound cliché, but few include EFFECTIVE. Being effective is the most valuable trait of a great leader. Clearly, a great CEO has to perform well under pressure whether he is communicating to the board or Wall Street. However, running a business is a way CEOs show effectiveness. By blocking out the pressure and noise from outside sources – (i.e., the board could be calling all day but I just remain centered on getting the job done) – a great CEO can keep focus on what is important for the company, and that is to keep track of customer needs. In our hectic schedules as leaders, we always have to deliver. It is extremely important that we step out of our comfort zone, (and the corner office with a great view), and meet with our teams on a regular basis to recognize their efforts. Personally, I like one-on-one meetings. Go the extra mile with your staff to show them how valuable they are to you and the company. A simple lunch meeting with the top producer can go a long way in showing the care and recognition that we all crave. Rewarding your employees is a great way to motivate them. Training and personal development programs, as well as gifts and retreats such as “President’s Club” sales incentive programs, can be some great perks. During our tenure and career, we gain a huge amount of knowledge. We will also have strategic ideas to build and shift the business as the market requires. I was lucky enough to work with, and for, leaders that were kind enough to support me and give me constructive criticism, but also the necessary support in order to succeed. Some of these leaders are women, and I cannot emphasize enough, that is time for our board rooms to be more diverse. Thinking back to my career beginnings in Europe, it was a non issue to have women in powerful positions. Nowadays, countries such as Germany are leading the way when it comes to equality in the corporate world. In short, gender should not be an issue for companies. The “ying and yang” of male and female business relationships help to break the ice, to get to the heart of the matter and get business done. The only thing that matters is how well these leaders produce during crunch-time. It is our duty, as leaders, to pass on knowledge and ensure that our teams succeed. In the end, companies and CEOs that do not provide any type of training, and just go by the motto “hit the ground running”, will actually just crash and burn. Listening to customer feedback is the best insight you can receive on your business. You will be build an effective business plan and deliver a successful product and service, because you will give your customers exactly what they want. Apple, Amazon, American Express, Microsoft, Uber, and countless other successful businesses have CEOs that believe in this simple principle. One of the best examples is how Uber caters to its audience. Whether by offering deals other services cannot, such as yellow cab companies, or by listening to their customers when an issue arises with the service, Uber provides an excellent customer experience. They offer an in demand service that is easy-to-use and efficient. It may sound silly and redundant but there is no way a single person can build a company alone. It does not matter how intelligent you are. A shrewd CEO surrounds himself with talented and smart people, who can contribute as members of the big league and are on the same mission as you. I am a big advocate for team work. I was an athlete and in my world there was no “I” in team, just “we”. A great leader listens and works closely with his employees. “We” will always be stronger than “I”. In my career, I have flown more than 4 million miles just on one airline to see my customers. Meeting constantly with my counterparts is a great way not only to build longstanding relationships, but also to learn and understand their business. After two decades, I walk away with a tremendous amount of knowledge but also great business relationships, which are my trademark. Spending time with your customers is priceless. I fundamentally believe in face-to- face meetings. Just because you have the title on your business card does not mean you can pull the “President Card” all the time. 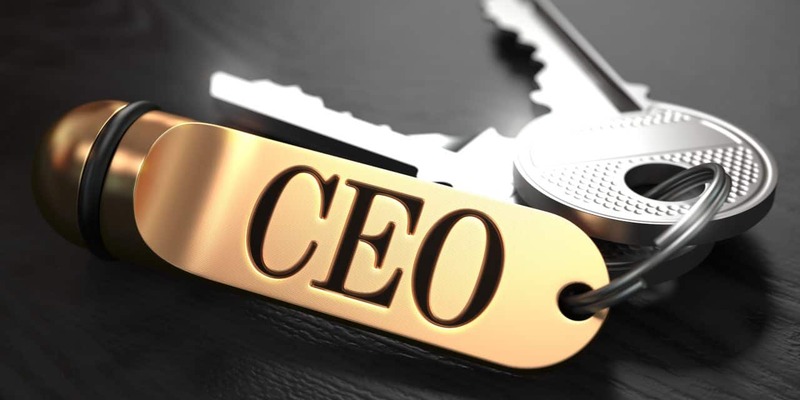 A great CEO has to show strength, but at the same time be responsible for his entire company and be the link between the board and the employees. Establishing a great relationship with your customers and employees will drive the success of your business. What people think of you today will impact the work they are willing to pursue with you tomorrow.